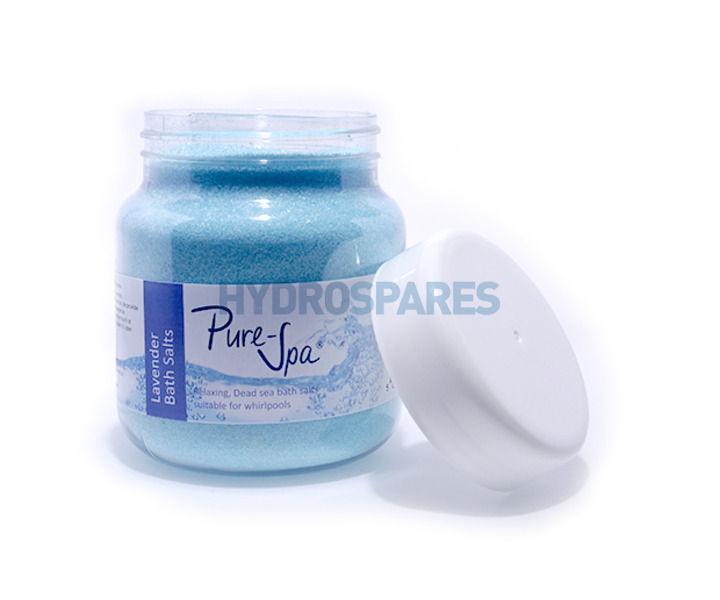 Dead Sea Bath Salts - With perfume oils: 1KG - Developed especially for the use in whirlpools and massage tubs. Pure Spa Dead Sea Bath Salts contain numerous minerals combined with fragranced essential oils to provide a therapeutic & relaxing bathing experience. Dead Sea bath salts may be beneficial in alleviating dry skin conditions such as eczema as well as acting as a natural exfoliant to open pores and improve skin texture by naturally lifting impurities away from the skin removing dirt, sweat and toxins. Green Tea: Refreshing - the subtle, refreshing fragrance of fresh Green Tea which stimulates & soothes, lifting the spirit. Rose: Harmonising - luscious Rose fragrance harmonises and stimulates the senses. Eucalyptus: Invigorating & Motivating - the sharp yet sweet fragrance of the Eucalyptus famously supports the respiratory system, clearing the head and motivating & stimulating concentration. Orchid: Sensual & Seductive - the tempting tropical Orchid flower's perfume delights the senses and refreshes the skin. Rosemary: Cleansing - the fresh herbal scent of Rosemary cleanses the skin and helps to stimulate circulation, reactivating mind and body. Lavender: Calming - the gentle herbal fragrance of Lavender calms the spirit relieving stress and tension. For a bath dissolve 5tbsp of bath salts into the water at approx 36-38 degrees C.
Bought the eucalyptus as a present which was really well received with lots of positive feedback, particularly lovely smell. I had to supply details so they can order some more. Also the staff were brilliant to deal with. Once again, great product,excellent service, prompt delivery as my wife had run out of product. I love this product. It dissolves quickly & smells fantastic. I'll be ordering more of this as well as other fragrances. Delivery with Pure-Spa is very quick too even with larger orders. Excellent product and quick delivery - thank you.